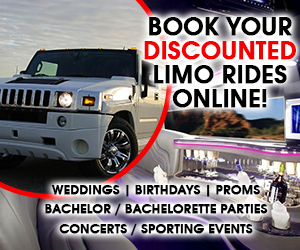 Looking for a great place for a bachelorette party? 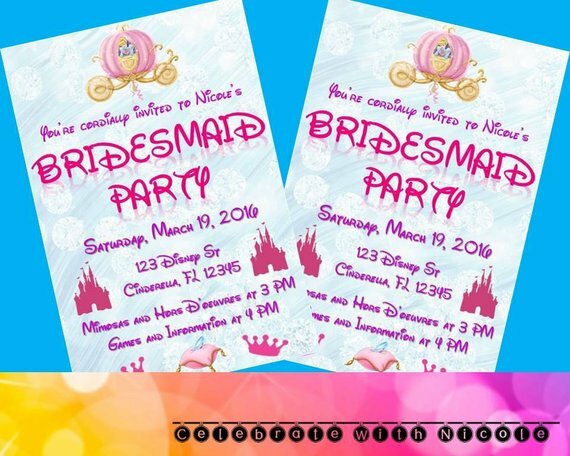 How about having a fun, exciting, once-in-a-lifetime Disney bachelorette party. 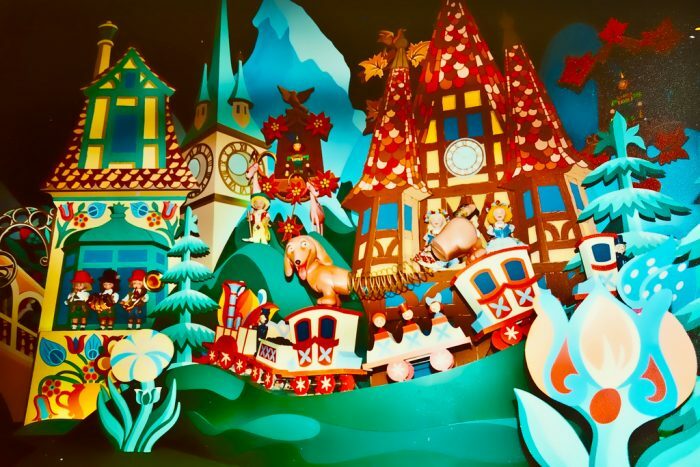 Only at a Walt Disney theme park can you indulge your inner princess, ride amazing thrill rides, have world class food and drinks, and play like children with your friends. 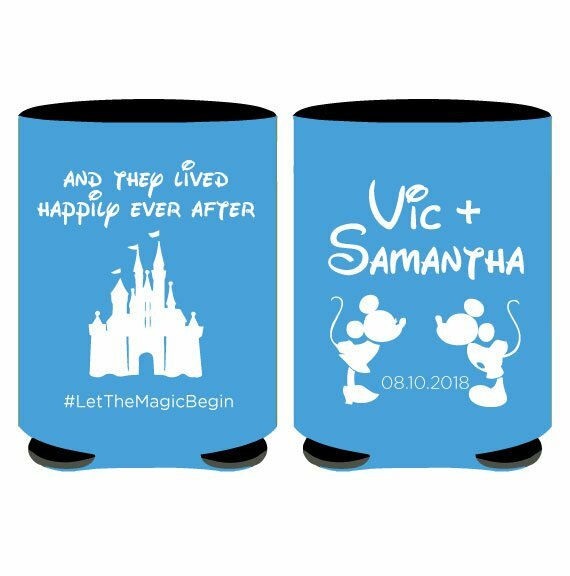 What makes this experience even more special is that, for many adults, getting married means that Disney will no longer be a grown-up only destination, but a place to take kids. While the theme parks are a great place to take your family, visiting without having to be responsible for other people is as close to a return to the perfection of childhood as you can get. 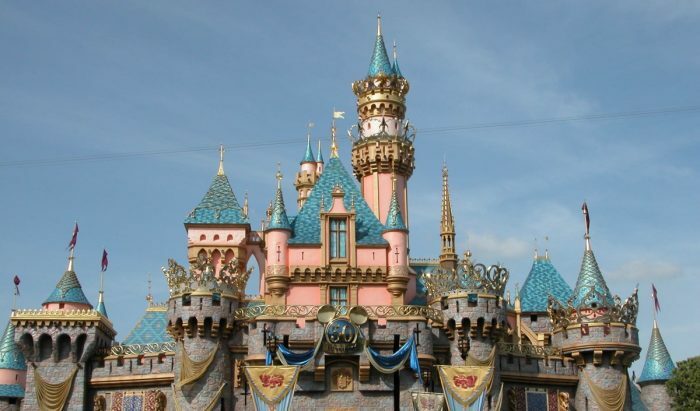 Depending on where you grew up or where your family vacationed in your childhood, you might think of two locations when you think of Disney: Walt Disney World in Orlando Florida and Disneyland in California. Both are amazing destinations and each place has its own unique attractions, but there are definite differences between the two parks. While you may think of the Magic Kingdom when you think of Walt Disney World, Walt Disney World in Florida actually consists of a number of different theme and water parks: The Magic Kingdom, Epcot, Disney’s Hollywood Studios, Disney’s Animal Kingdom, Disney’s Typhoon Lagoon, and Disney’s Blizzard Beach. It is a huge entertainment complex and the world’s number one vacation destination. In addition to Walt Disney World, Orlando and the surrounding area have a number of other theme parks: Universal Studios, Legoland, and Busch Gardens. 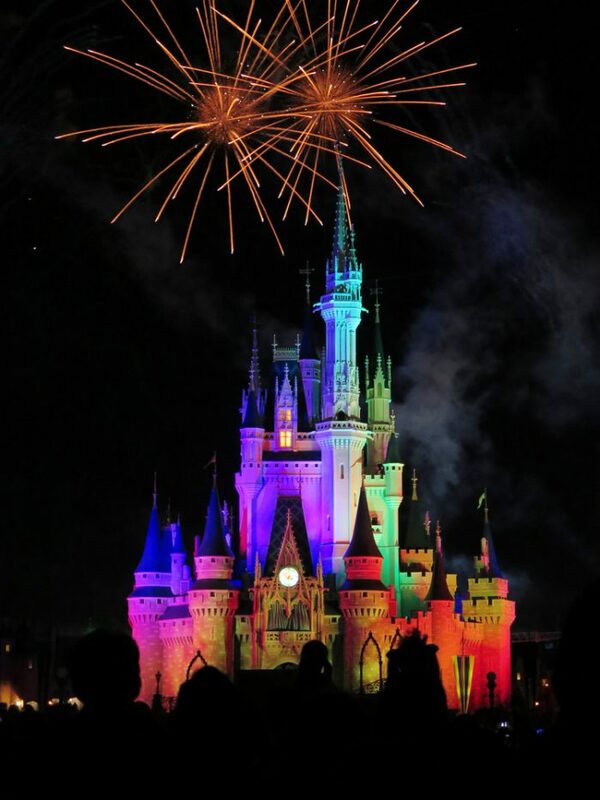 Because they cater to tourists, you can also find an enormous variety of non-Disney entertainment options in the Orlando area, which happens to be only a short drive from some of the nation’s most beautiful beaches. Disneyland in California is much smaller than Disney World in Florida. 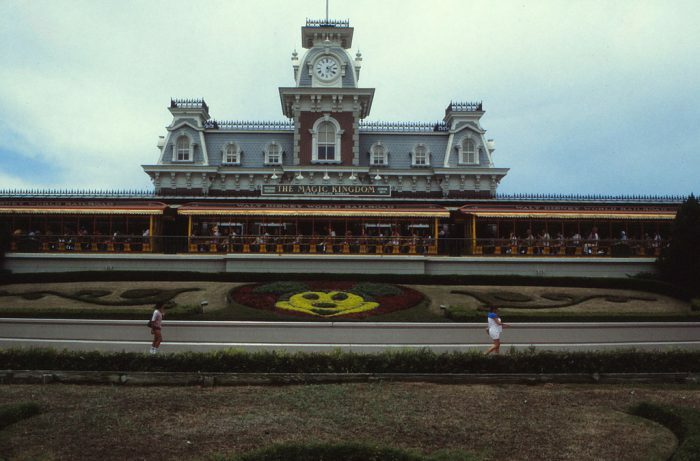 It consists of two parks: Disneyland, the original Disney theme park, and Disney’s California Adventure. Staying on property means you have all of the expected Disney amenities, but in contrast to the well-maintained resorts and hotels surrounding Disney World in Orlando, there is a run-down feel to some of the property surrounding Disneyland. 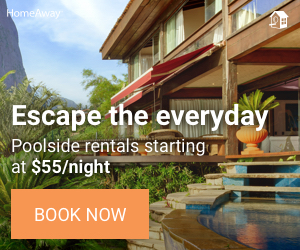 That said, Disneyland is smaller and more manageable than Disney World, and it can be combined with a bachelorette trip to nearby Los Angeles, trips to Balboa Island, and visits to the San Diego area. There are some places you can head to for a great last-minute bachelorette party. The Disney parks are not among them. 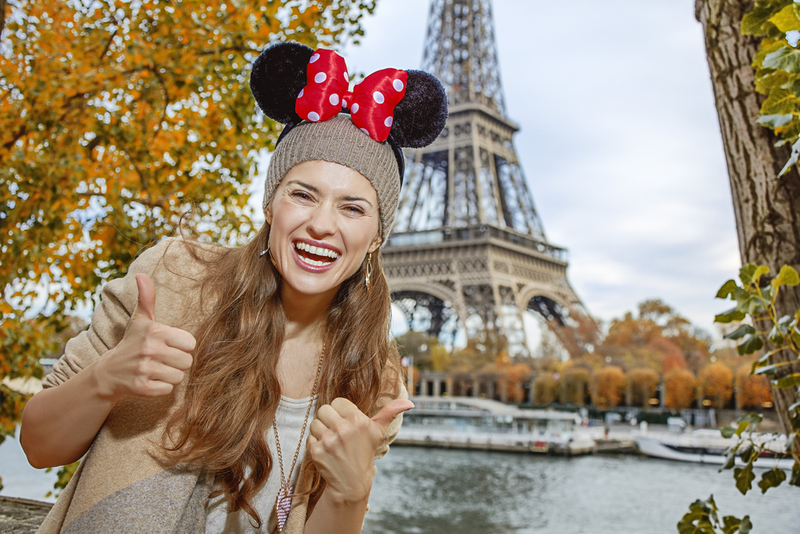 Planning ahead is crucial for a fabulous Disney park experience. While you will be able to find hotel rooms at or near the parks, especially at Disney World, the in-park experiences tend to sell out quickly. You may not want to eat at any of the amazing restaurants in the park, but you will want to take advantage of Disney’s Fast Passes, which go quickly. If you want to ride any of the most-loved rides, especially any of the new rides that have opened in any of the parks, then you will need to use those Fast Passes! The best way to take advantage of your Fast Passes early is to purchase the park tickets early and download the My Disney Experience App to help you plan each park day. Picking where to stay depends on a number of factors. 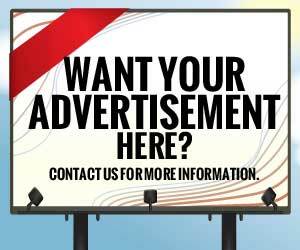 However, we are not going to lie: budget is probably your number one determinant of where you can stay. 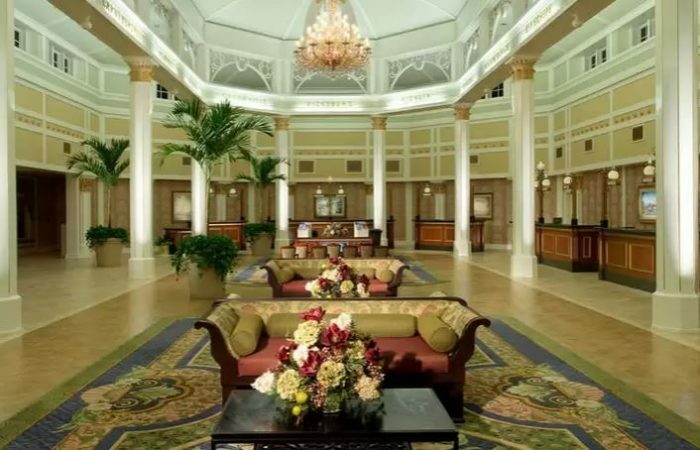 Any of the Disney resorts offer great customer service, though there is a distinct difference in the how luxe the luxury resorts feel when compared to the lower-budget family resorts. In our way of thinking, if you need to pinch pennies, the hotel is where you want to save the money. After all, you plan on spending your time at the parks, not in your hotel rooms. Here is a room from the mid-level Port Orleans Resort. As you can see, it is just a typical hotel room. 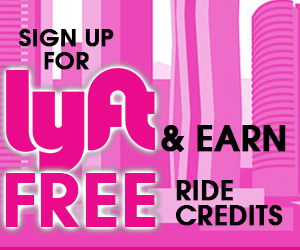 Do you really want to miss riding on the rides to see a parade? Yes. Parades at Disney are like nothing else in the world. You not only get to see your favorite characters pass by, but also some incredibly talented bands from around the country. 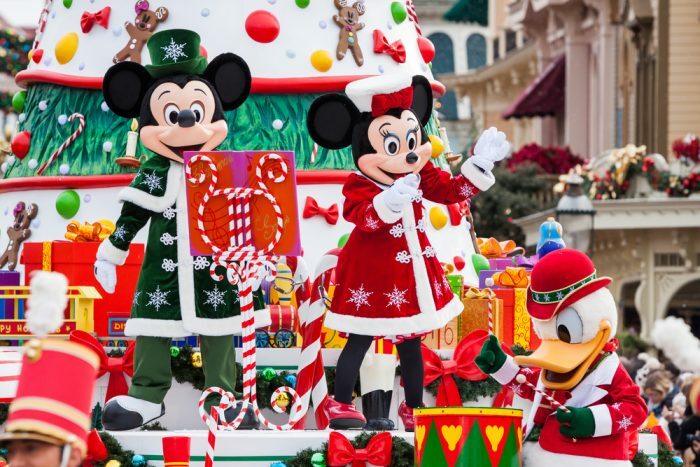 Plan on seeing at least one parade during your stay; we promise you won’t regret it. You might think you want to leave the park to check out nearby adult entertainment options. However, if you leave the parks before their famous nighttime parades and fireworks shows, you will be missing out on one of the most amazing Disney experiences, ever. Instead, try to book a reservation at a restaurant where you have guaranteed seating to watch one of the shows. 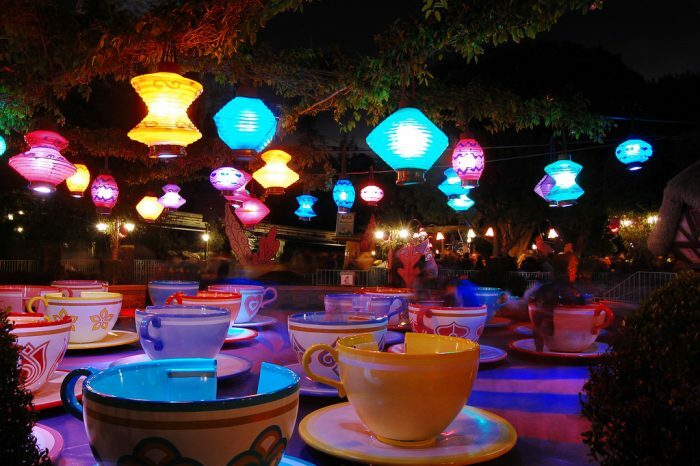 If you have ever been to an amusement park, you have probably ridden a ride similar to the famous Teacups at the Disney parks, but the Disney ride is a visual treat, even if it is not a jaw-dropping adventure like other rides. You can find them at Magic Kingdom and Disneyland. A personal favorite, this ride at Magic Kingdom and Disneyland was redone after the movies were released to incorporate the Jack Sparrow character. The Tree of Life at Walt Disney’s Animal Kingdom is not a ride. 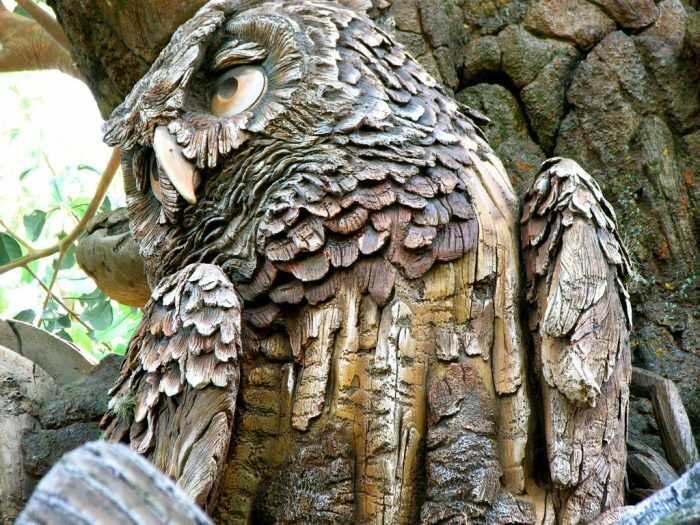 It does house a ride inside of it, but the tree itself is the true attraction. Full of magnificently rendered carvings of animals, plan to spend at least a little time admiring it. There are plenty of places to go in the Disney parks, resorts, and lounges to have some drinks and a more grown-up good time. 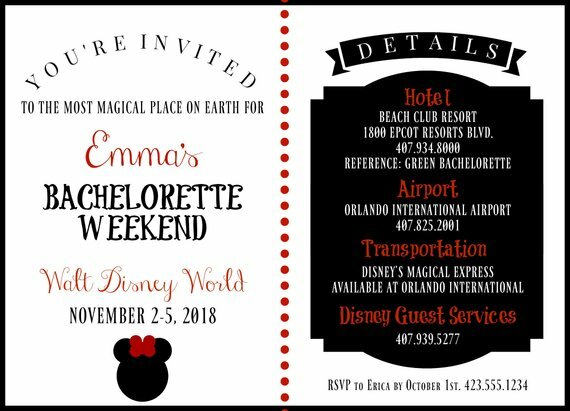 However, if you are looking for typical bachelorette-style debauchery, then you might have to leave Disney property for the night. 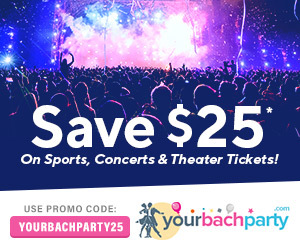 Orlando actually has two male reviews; Hunk-o-Mania and Rock Hard Revue, if you want to add a traditional bachelorette night to your Disney bachelorette. You could also arrange for a dancer to come to your hotel to put on a show! 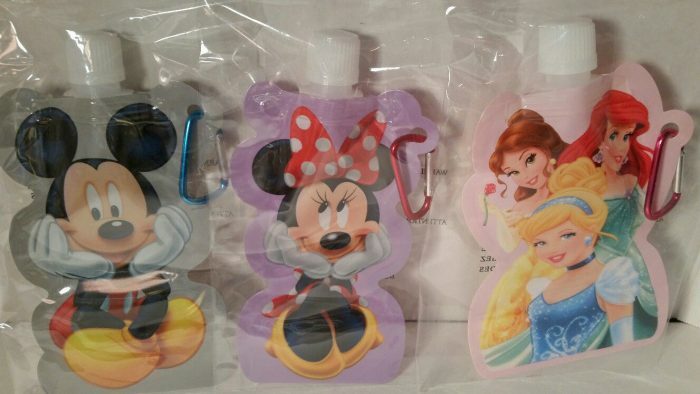 One of the easiest ways to lose some of that Disney magic is to let yourself get dehydrated. You will be doing a lot of physical activity, and it will probably be pretty warm. You can bring food and drink into Disney parks, so you can bring in water bottles, whether reusable or disposable. However, we have a better idea. At Disney, you can ask for ice water at any food service establishment and they will give them to you for free. There is plenty of fresh cold water available for you in the park, so we suggest handling your hydration needs that way instead of schlepping multiple bottles into the park. 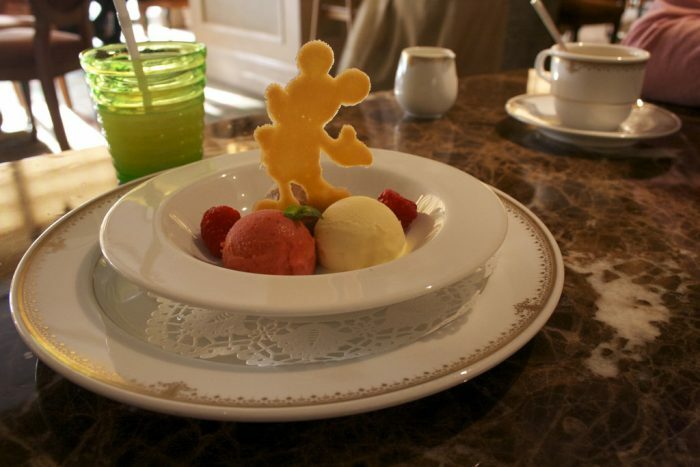 There are entire websites dedicated to Disney dining. This makes sense, because, like all other things Disney, the restaurants are about more than just the food; they are about the experience. Therefore, choosing where you want to eat is not just about food quality, but also about an immersive experience. 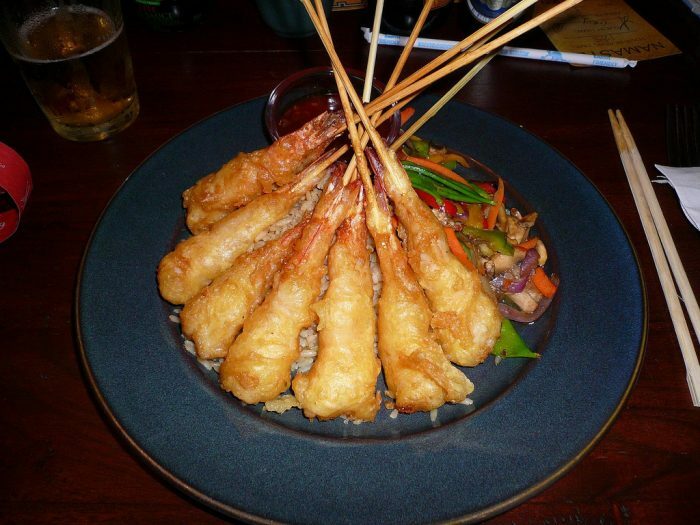 Some restaurants we recommend, even though the food is basically ho-hum. These include The Sci-Fi Dine in Theater at Disney’s Hollywood Studios, Be Our Guest in the Magic Kingdom, and the Contempo Café Contemporary Resort. Epcot is the park known for its food and drinks, but we think that San Angel Inn, Garden Grill, and Coral Reef Restaurant are more about the experience than the food. Some of the best food experiences at the parks are at the Rose & Crown in Epcot, Jiko at the Animal Kingdom Lodge, Victoria & Albert’s at the Grand Floridian, Blue Bayou Restaurant at Disneyland, Napa Rose at Disney’s Grand Californian Hotel & Spa, Hollywood Brown Derby at Disney’s Hollywood Studios, the Spirit of Aloha Dinner Show at Disney’s Polynesian Resort, Wolfgang Puck’s Grand Café at Downtown Disney, and the Restaurant Marrakesh at Epcot’s Morocco Pavilion. 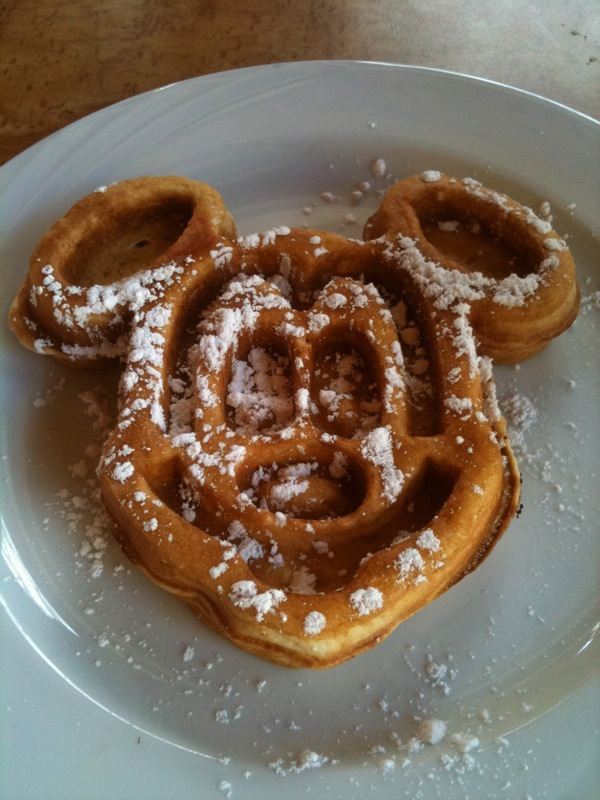 However, to eat well at Disney does not mean that you have to schedule all of your meals at table service restaurants. You can find surprisingly tasty eats at your resorts, and you can make it all more affordable by purchasing some of the Disney dining plans if you will be doing most of your eating at your resort or at quick service restaurants in the park. 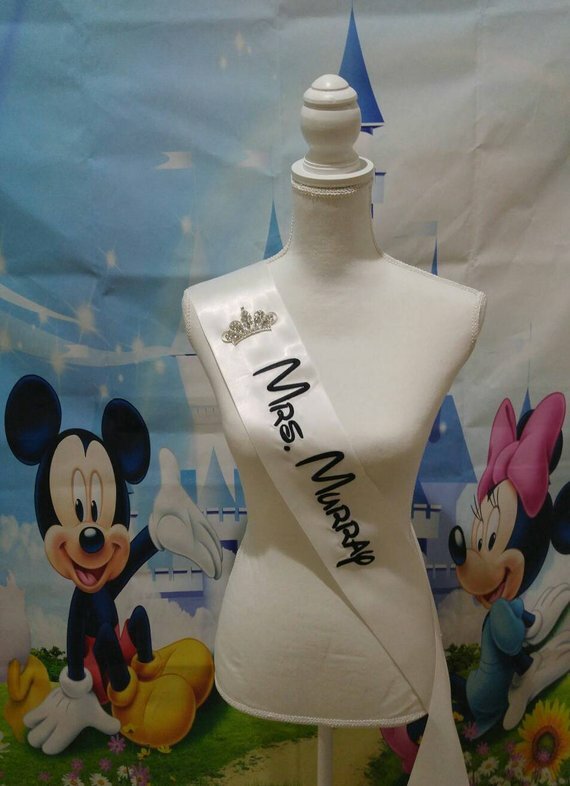 What are some other things you can do to make your Disney bachelorette even more special? 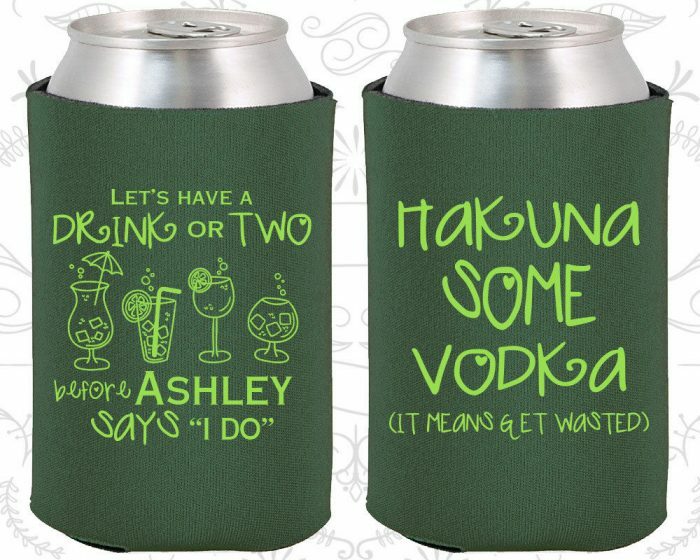 Well, we have put together a few odds and ends that you can add to the party, from themed invitations to some things to stuff in a swag bag, which carry the Disney theme through the whole party! For a destination party, save the date invitations may be in order, and what could be cuter than these save-the-date invitation magnets? 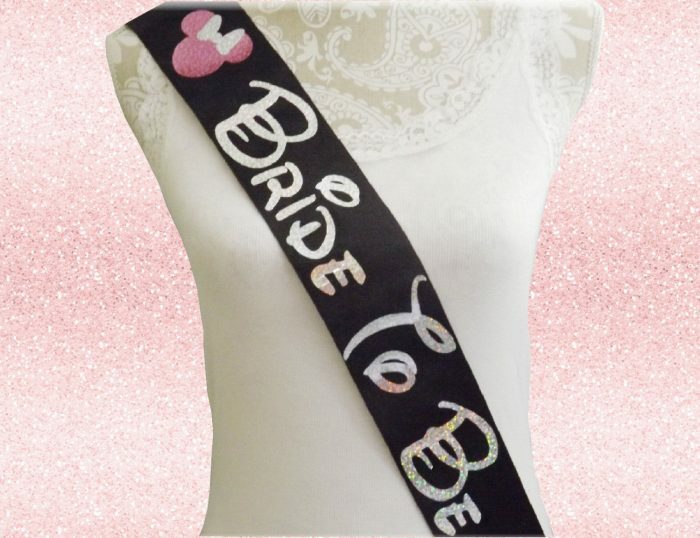 Of course the bride wants to stand out, and regular Disney bling is not going to do it if you are at a Disney park. 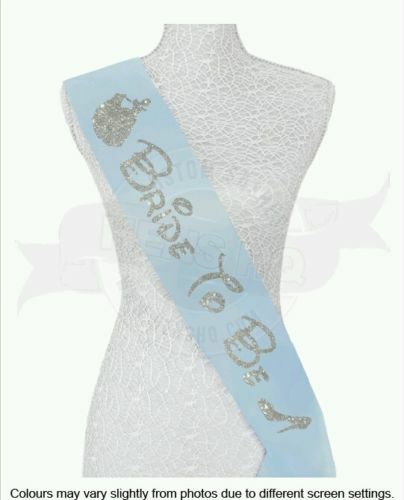 Sash her up! 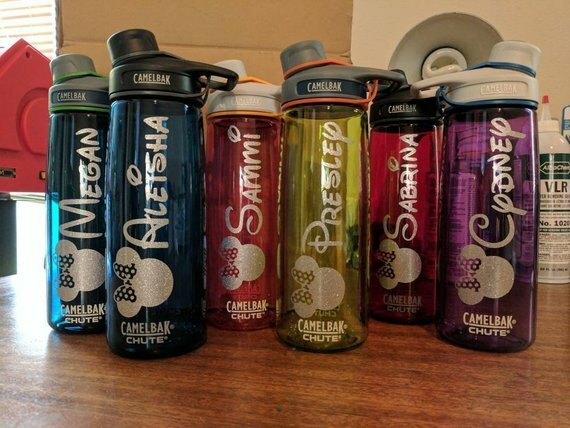 Everyone wants to keep their drinks cool. 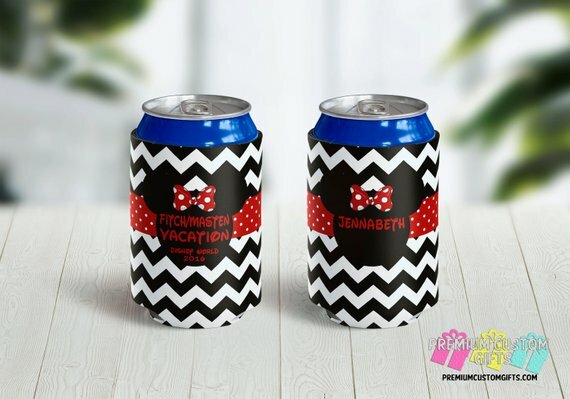 Besides, cozies (or coolies, depending on where you live) make a great souvenir for an epic trip. 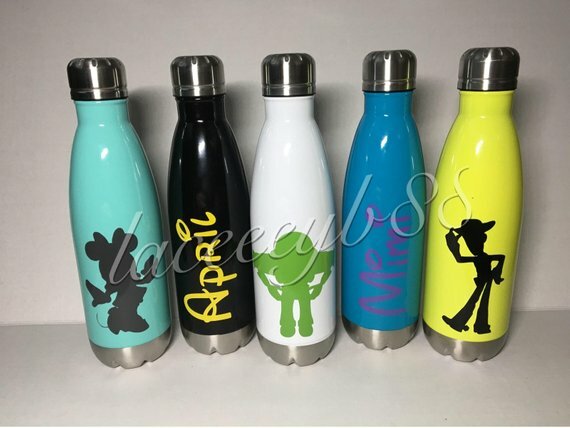 Make it easier to keep hydrated with customized Disney water bottles. 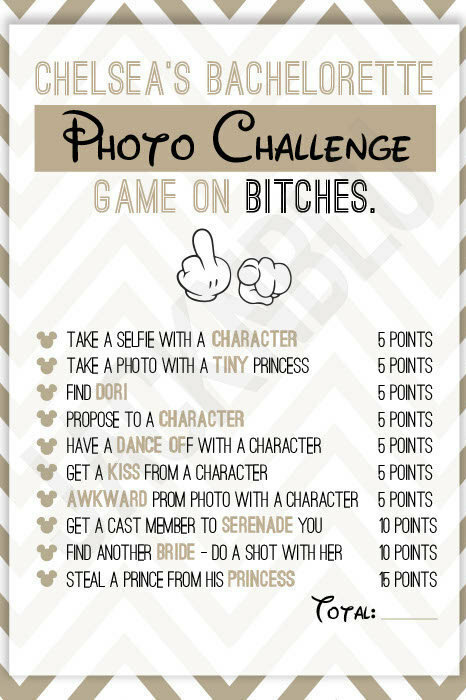 Do you have to have games for a great bachelorette party? Of course not. However, there is no denying that games are a great way to break the ice for people who do not already know each other or to add a party mood to a group of friends. 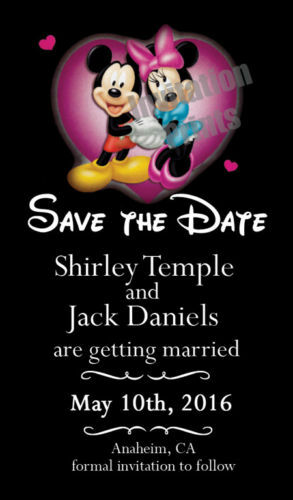 Disney may be great for children, but it equally wonderful for the young-at-heart. 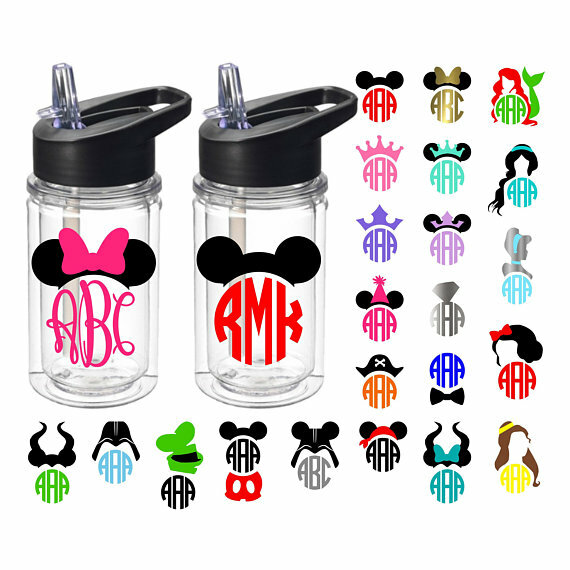 A Disney bachelorette party is a great place for a last fling before the ring because it offers everything and has unparalleled customer service. 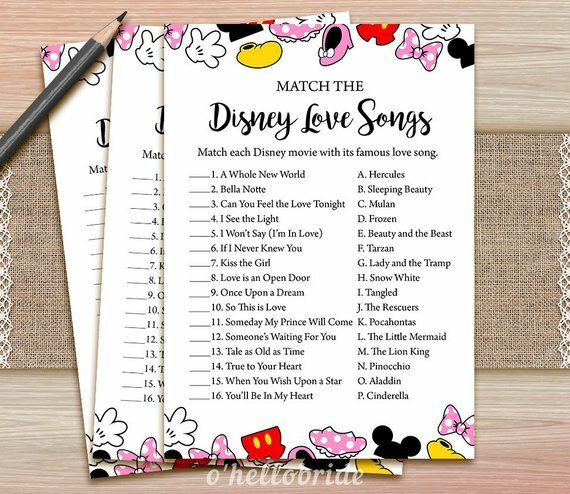 In addition, if your bachelorette party will include younger or older family members, a Disney bachelorette is a great way to be inclusive.